Donna Maria (dM) is founder and CEO of the Indie Business Network, an entrepreneurial coaching and training company that has helped transform the lives and businesses of entrepreneurs in numerous countries in the US and around the world. A highly sought-after author, speaker, and entrepreneur mentor, Donna Maria, is an expert at helping small business owners build sustainable businesses while enjoying the freedom, flexibility, and fun that entrepreneurship offers. Today, your customers are more distracted than ever. They are bombarded with hundreds of marketing messages daily, and they can increasingly buy whatever you sell from any number of sources -- and frequently at a lower price. In order to overcome these hurdles, you need more than a good product. You also need a community of people who love you and your brand, and who will help you break through the noise so your products can be seen and heard. Thankfully, it's easier than ever to build community around your brand, and Donna Maria is here to show you how. (1) Why community is critical to business success and growth. (2) How to select the community platforms and outlets that are best for your brand. (3) How to leverage technology in ways that evoke the kind of emotional connection that encourages people to buy from you over and over again. The Community Economy is relevant to all business owners, regardless of their business, and in particular, to people with a limited budget and time. The presentation includes case studies of people who have built communities that naturally deliver heightened brand awareness and endless sales opportunities. Lela Barker from Lucky Break Consulting has a unique perspective on entrepreneurship because she sits on both sides of the table: She’s built a small business empire and she wakes up every day excited to help thousands of her clients do the same. She’s a successful entrepreneur with 15 years of experience building a creative business. Since launching her bootstrapped apothecary brand in 2003, Lela has guided Bella Lucce’s growth to include 1500+ wholesale accounts, generating more than $12million in revenue. Lela is also a business strategist who’s wildly passionate about helping creative entrepreneurs bring their products into the marketplace. Through Lucky Break Consulting, Lela helps makers and designers navigate product pricing, brand development, and wholesale strategy. Whether you want software to help track costs and price your products more effectively or need help finding the right stores for your brand and following up with buyers, Lela can help you. Want to develop a knock-their-socks-off brand that makes people weak in the knees? That’s her specialty! 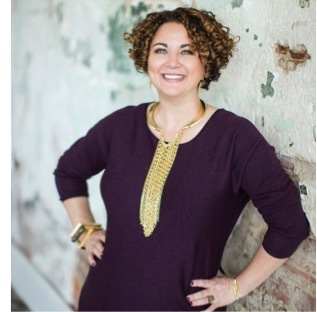 Besides her keynote topic, Lela will be presenting a breakout session on “Wholesale Like a Pro: The Secrets to Charming Store Buyers." 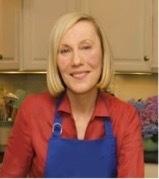 Nancy Baggett is an award-winning cookbook author and food writer with seventeen cookbooks and hundreds of food articles for national publications, including Better Homes and Gardens, Eating Well, Country Gardens, and The Washington Post. Her latest cookbook is The Art of Cooking with Lavender, a beautiful, full-color 80-recipe work that recently won an Independent Publisher “Books for Better Living” award. Her lavender book is well-known to many USLGA members, who carry it and find it a popular item in their gift shops. Nancy’s best-selling The All-American Cookie Book was both an IACP and James Beard Best Baking Book award nominee; and The International Chocolate Cookbook won the IACP Best Baking Book Award. Nancy’s practical, hands-on “Tempting Culinary Lavender Products” workshop will cover a wide array of potential culinary products suitable for lavender gift shops and farmers’ markets, along with helpful production, private labeling, packaging, presentation and marketing ideas. The session will detail what ingredients and products lavender best enhances, as well as provide many opportunities to taste lavender flavor combinations and samples. Ricardo Federico Besel was born and raised in a German colony in Argentina, with his Wolgandeutscher father and his Belgium mother. He grew up in an agricultural environment surrounded by farm equipment and infinite fields of different crops. Ricardo attended Technical School and worked at his grandfather’s shop since he was a child. His grandfather was an import agent and a tractor /farm equipment dealer. No doubt that was the best school for him. At the age of 20, he met a Scottish engineer who was one of the first lavender growers in La Cumbre, a small town in the middle of the Argentine's mountains, since this time, he was focused on the idea of having his own lavender farm. After Mr. Besel came to the USA, he opened his own CORP in Florida, then moved to Coeur D’Alene, Idaho where he designs and fabricates lavender processor machines. His machines were tested for three consecutive years in different farms in north and east Washington with absolute success. As a result of many years of experience, he can offer a reliable lavender processor machine that can help any lavender grower to have a more profitable farm operation. Ricardo Besel, Bill Jabs and Mike Neustrom will participate in the Harvesting & Debudding Equipment Panel discussion. Daniel Callen has 15 plus years of Product Management and Marketing experience. Daniel has worked in the laser industry from manufacturing to engineering to business development. He also has spent 5 years as a lavender farmer with his wife Nicole Callen as the business owner. Nicole served as Social Media manager for Oregon Lavender Association (OLA), and Dan is serving on the board of directors for OLA Marketing. In his presentation: Lavender Festival/Events: The Customer Experience, Dan will be sharing lessons-learned with lavender festivals and events. Dan and Nicole Callen are the operators of Norwood Farm, Portland, Oregon. This session will include planning, facilities, access, safety, marketing, ticket sales, food and craft sales, vendors and volunteers; also comparing private events to the festival events. The main focus is on the customer experience; from marketing to location, signs, parking, food, crafts, vendors and u-pick. 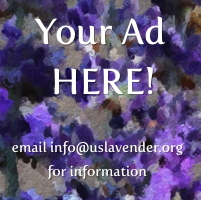 Festivals can be a great way to promote the farm and share your love and experience of lavender. Festivals can be a success, a challenge or a mix. Kevin Dunn is the Elliott Professor of Chemistry at Hampden-Sydney College. His first book, Caveman Chemistry, brought him to the attention of handcrafted soap makers. His second book, Scientific Soapmaking, explores the chemistry of soap at a deep, but accessible level. Professor Dunn's ongoing research continues to uncover fascinating details of the behavior of fats, oils, soaps, scents, and synthetic detergents. In this hands-on how-to workshop, you’ll learn how to make your own lavender soap; a perfect product for showcasing your lavender oil and pleasing customers. Kevin will show how to make soap from scratch from vegetable oils and lye. Participants are invited to bring their own lavender oil and/or buds to be used in the soap making session. Bill Jabs is a retired civil engineer. He and his wife Mary started Eagle Creek Lavender four years ago, and now have 22,000 plants on 12 acres with over 15 different varieties. Essential oil is a big part of their operation with 8 acres of Buena Vista lavender grown for oil production. Having difficulty finding labor and wanting to reduce harvesting costs, Bill began a search for mechanical harvesting equipment. Finding none available for small to medium farms for a reasonable price, Bill set out to design and build a single row harvester. A prototype was completed for the 2018 season, which proved to be very cost effective. Bill has now formed Starr Manufacturing, LLC, for the express purpose of building and selling harvesters. He will talk about mechanical harvesting in general, the features of the Starr Lavender Harvester tm, and will discuss the economics and efficiencies of mechanical harvesting. Eagle Creek Lavender, Eagle Creek, Oregon, is both a retail and wholesale farming operation. Along with farming and distilling, the Jabs have modern drying, debudding and cleaning facilities. Mary manages our Lavender Shoppe and focuses on creating and marketing a wide variety of lavender products. Dr. Jeffers is a Professor and Extension Specialist in the Department of Plant and Environmental Sciences at Clemson University. He has statewide responsibilities for diseases of ornamental crops in nurseries, greenhouses, and landscapes, and he also works on diseases of trees in both urban and natural ecosystems. 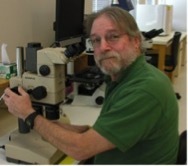 In addition, he teaches Principles of Plant Pathology to both undergraduate and graduate students. He came to Clemson in 1995 after 7 years at the University of Wisconsin-Madison working on fruit crop diseases and 3 years in private industry developing biological control products for postharvest diseases. He earned PhD and MS degrees in Plant Pathology from Cornell University in Ithaca, NY. Currently, Dr. Jeffers’ research focuses on diseases caused by species of Phytophthora, the topic of his presentation. Paola Legarre is the owner of Sage Creations Organic Farm, Paola has worked in organic farming and marketing for the last 25 years. In 2001 she received her MBA in agribusiness from the University of Santa Clara in California. Looking to continue her commitment to organic farming and wanting to raise her family in Colorado’s clean air and wholesome way of life, she and her family moved to Palisade, Colorado in 2005. Her love for herbs and looking for an alternate crop to tree fruit she wanted to explore growing lavender. Paola’s first lavender planting was in 2006. As her lavender fields grew, she extended her product line to include certified organic essential oils, lavender inspired home décor, bath and body products, and lavender plant starts. Sage Creations farms 10 acres and currently has 5 acres in lavender production and grows 3 species and 50 different cultivars of lavender. In addition to propagating and distilling lavender, Paola manages the farm and maintains lavender fields, 4000 feet of greenhouse space, medicinal herb crops, heirloom vegetables and a cherry orchard. Dirt to Flower: An Overview of Growing Lavender Commercially. If you are thinking of starting a lavender farm or already have a farm, consider this class. You will learn how to prepare, plant, process, and market lavender. Topics will include: selecting different lavender species and cultivars for their marketability; preparing planting beds and designing your farm with the end use in mind; irrigation options; planting and pruning tips and the timing for each task; understanding bloom habits and harvesting for optimum use, and post-harvest handling options. Cutting Production and Propagation of Lavender: Propagation tips on how to grow a viable lavender plant successfully. We will take a detailed look from start to finish at how to grow a lavender cutting to a high yield lavender plant. We will examine some of the pitfalls when propagating; how to create an ideal environment for vegetative cutting propagation; examine light management and how it effects different growth stages; transferring a rooted cutting throughout the growth stages; and preventing disease throughout the growth cycle in the pot. We will also examine rooting options, soil-less mix, and the optimal timing of taking a cutting. We will also explore the different rooting success rates amongst lavandula angustifolia and lavandula x. intermedia and how to lessen the extremes. Alice Marrin and her husband Bill are the owners of Lookout Lavender Farm, located just south of Chattanooga on the Georgia portion of the Lookout Mountain Plateau. In addition to lavender, the Marrins grow blueberries, apples and manage bees. 2018 was their first year of uPicks for both lavender and blueberries with Alice spending most of her time branding, marketing, developing and selling lavender based products. They purchased the property in 2016 and attended the USLGA conference in Mesa where Alice and Bill were inspired to create a lavender centered farm experience. While the Marrins currently live in Atlanta, they travel back and forth each week but hope to make the mountain farm their full-time home. In her pre-lavender life, Alice raised three daughters (now grown) and served as an elementary school librarian. After retiring from two careers, (Twenty-one years in the U.S. Navy and as director of a rehabilitation agency for people with developmental disabilities), Mike started farming lavender in 2002. Mike and his wife, Dianne, own Prairie Lavender Farm in Bennington, Kansas. Mike was one of several original members who started the organizing committee in March 2011 leading to the formation of the United States Lavender Growers Association. He served as the Treasurer from November 2011 through January 2014 and briefly stepped down from the Board of Directors in April 2014 only to be elected back to the board at the annual meeting in January 2015 for a three-year term. He was elected President in March 2015 and served two terms. He stepped down last March and remains active as the Chair of the Nominating Committee. Mike along with Paul Krumm (Gyld Wynd) co-developed a bud stripping and cleaning combination of machines which are all hand fabricated and built to order. It was totally self-interest in finding a way for him to not have to strip and clean buds by hand. In almost seven years they have built dozens of the machines now in states coast-to-coast and in Norway. The production of the machines is now being built by Servicemen's’ Agriculture Vocational Education (SAVE); a non-profit organization teaching transition skill to soldiers at Ft. Riley returning to civilian life. Ted Maciejewski, their project manager will be manning Prairie Lavender Farm’s vendor table at the conference to demonstrate and answer questions about the machines. Ellen Reynolds and her husband Gregg own Beagle Ridge Herb Farm in Southwest VA. Although the farm is in a remote location and was originally only open on weekends seasonally for the first several years, she has developed a following, both at the farm and on line. Now celebrating their 17th year in business, they have welcomed visitors from all 50 states and 26 foreign countries. Beagle Ridge Herb Farm and Environmental Education Center providing classes year-round. Lick Mountain Excursions- a guided nature ride operation. Serendipity, an event and wedding venue. Flying Flowers, a walk-through butterfly house which was named one of the 14 "Not to Miss” butterfly destinations in the nation by Birds and Blooms Magazine. Ellen has been a lifelong gardener, Garden club member and a Master Gardener since 1992. She teaches a variety of classes across the southeast and at the farm. Although begun as an herb farm, the Beagle Ridge specialty is lavender, and Ellen uses what she grows to make an ever-expanding product line which she sells at the farm. Her products are available at the farm, in retail establishments around the region and on line. In addition, she manufactures a private label line for B&Bs. In her “Diversifying your Lavender Business” presentation, Ellen will cover ways agritourism and diversification can keep the family farm solvent and yield a sustainable business. Learn how to expand your revenue season, whether through a one-day festival or several weeks U-Pick or though year-round farm to table dinners and events. Learn how to assess and capitalize on your own property and your capabilities to determine how your farm can become a revenue generator all year round. There are so many opportunities; she’ll point you down viable paths to making money. Sarah founded Lavender Wind Farm in 2000, starting the first season with 400 plants. Now, 18 years later, the farm has about 6.5 acres in cultivation, growing 17 different varieties of lavender. She is a founding board member of the United States Lavender Growers Association, and currently serves on the Board of Supervisors of the Whidbey Island Conservation District. Sarah has presented at the United States Lavender Conference several times, has taught Lavender 101 classes at the annual Whidbey Island Master Gardeners Workshop, and given talks to many of Whidbey’s garden clubs. She has been distilling lavender for more than 16 years. She has a collection of 5 stills ranging from a 150-liter copper still and a small lab still. In addition to starting and running the farm, Sarah created a manufacturing and retail facility in a charming 1916 bungalow located in the historic waterfront district of Coupeville in Central Whidbey Island. At this facility they manufacture many traditional lavender products such as soaps and lotions, sachets, and other personal care and household items. Another focus area for the product line of Lavender Wind has been culinary lavender products for which Sarah has developed many jams, baking mixes, teas, herb blends, and very popular lavender scones. She has taught classes in making soaps and candles, as well as cooking with lavender. Steven W. Seymour is an accomplished business litigator with an emphasis on labor and employment law as well as fiduciary litigation. Mr. Seymour serves as the municipal judge for the City of Mosier; formerly, he served as Chairman of the Litigation Section of the Oregon State Bar. He is licensed to practice law in Oregon and Washington. Steve actively builds community by serving on the board of directors for the Hood River County Chamber of Commerce, as well as the Gorge Grown Food Network. The Network promotes local foods in the Gorge and was recently recognized by the Robert Wood Johnson Foundation. Steve is a lifetime member of Disabled American Veterans. He is active in Mosier Post 55 of the American Legion, through which he serves veterans of the US military, and promotes patriotism in the community. Steve operates a lavender farming operation at his home near Mosier, in the Columbia Gorge. He serves on the Board of Directors of the Oregon Lavender Association. He is a lifelong photographer, working with both digital and gelatin silver processing. Steve is active member of the Oregon Professional Photographers Association, and his work has been featured and recognized by the organization. In Steve’s presentation he’ll cover issues relating not only to those growing and distilling lavender but those diversifying into Agritourism, Value-Added Products, etc. 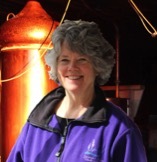 Sandra Shuff is a trained Aromatherapist and Distiller. As Positively Aromatic she distills 48 different botanicals including those provided by her certified organic forest for steam distillation of Douglas Fir, Ponderosa Pine, White Spruce and Yarrow. Hydrosol is distilled as a primary product in her distillery on Copper Alembic Stills. This low temperature, slow process allows the larger molecules to release and come through the distillation process to produce a high-quality Artisan Hydrosol and Essential Oils. As owner and operator of a 50-acre USDA Certified Organic farm and forest she has a unique opportunity to grow, harvest and distill multiple aromatics in one location. Her farm Evening Light Lavender Farm grows approximately 18,000 lavender in 41 varieties, a field of rose geranium and various herbs for distillation. Jim Strohm is a Journeyman Beekeeper in the SC Master Beekeeper program; he is a member of the Charleston Area Beekeepers Association; a member of the SC Beekeepers Executive Committee, and the President of the Charleston Community Bee Gardens. He has been beekeeping in the Lowcountry for seven years. He maintains 16 hives for pollination at the Clemson University Coastal Research and Education Center in Charleston. 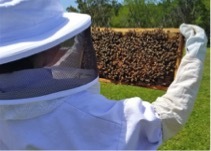 Jim teaches both beginner and advanced beekeeping classes for Trident Technical College Continuing Education and each summer conducts a “Junior Beekeeper Camp” at the college for 7-16 year-old beekeepers. Jim is originally from the Midwest and is currently retired from both the US Navy Submarine Service and the SC State Ports Authority as a Maintenance Supervisor. Jim will be speaking on the basics of getting started as a beekeeper. Dr. Swift has thirty-two years’ experience as a Colorado State University Area Extension Agent and has a Ph.D. in Plant Pathology from Colorado State University. He has traveled the world in conjunction with USDA and CNFA to provide training on many areas, including: irrigation, soil management, onion value chain assessment, greenhouse producers, plant production, and fertility management. Dr. Swift retired as an Extension Agent in 2012 and started his retirement with his own business – High Altitude Lavender in Grand Junction, CO. He now produces high altitude lavender products which include artisan crafted essential oils and hydrosols, among other things! In his presentation on growing healthy Lavender plants, Dr. Swift will cover the major concerns of growers directly affecting stress and insect and disease problems from the roots to the flowers. 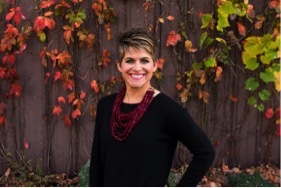 Christine Teeple has been running the marketing, event planning, product development and production side of Red Rock Lavender located in Concho, Arizona since 1998. Christine is a Founding Member and former Board Member of the USLGA. Christine’s presentation will help you explore how to make your lavender business profitable. Should you develop a product line, host events, operate a farm store or participate in off-site venues? If you are already doing some of these are your activities profitable? To answer these questions a measurement to determine your Return on Investment is an important vehicle and continuing process. In this session you will learn how to calculate ROI. You’ll also be shown examples of venues and selling options that can be the most profitable to give you some direction on the types of products or services your business might provide. 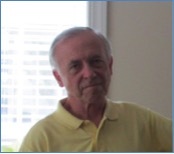 Jim Wetzel joined the Charleston Area Small Business Development Center (SBDC) as a Business Consultant in 2018 after a 40-year career in corporate Marketing and Sales where he held executive level positions managing domestic and global businesses. The SBDC has 1000+ centers Nationwide with 21 locations in South Carolina. As a Business Consultant, Jim assists in growing existing businesses and start-ups across the spectrum of ideas and concepts. He counsels clients on Business Plans, Financial projections, Marketing and Sales. During his corporate life, Jim’s expertise was in healthcare capital equipment and medical devices, spanning all areas from the operating room and critical care departments to med-surg floors and processing areas. He has worked for several multi-national companies and started divisions in the US. He is a graduate of The Pennsylvania State University with a Bachelor degree in Business Administration/Marketing. When he’s not working, Jim is usually on the golf course either playing or volunteering as a starter and ranger. Robert Jones joined the Charleston Area Small Business Development Center as a Business Consultant in 2016. The SC SBDC has 17 Centers and 4 satellite offices in South Carolina. As a Business Consultant, Mr. Jones meets with individuals who own businesses or want to start a business. He consults with clients on Business Plans, Financial Projections, loan opportunities and marketing plans. His business expertise is marketing and public relations. He has worked at non-profit organizations like the Boy Scouts of America, the Frances Willis SPCA, and the American Red Cross. His responsibilities included local, regional and national media interviews, brand management, website development and management, and the editing of publications for the organizations. His for-profit business experience in retail and tourism included inventory management as well as sales and customer service. He is a graduate of the University of South Carolina with a Bachelor of Arts in Journalism. When not working, Mr. Jones enjoys walking his dog, watching NASCAR races, doing crossword puzzles and going to the movies. Jim and Robert will present “Digital Marketing; An Important Link to Profitability”. Kylee Seibert-Wongrowski is a farmer from Northwest Ohio. She and her husband Scott own Luckey Acres which is a farm that is a mix of grain crops, livestock, lavender, and event venue. She is a member of Ohio Proud, USLGA and the Great Lakes Lavender Growers. She is a former employee of the USDA Farm Service Agency where she ran the Conservation Reserve Program. Her lavender business, Luckey Road Lavender Co. is in its second year. In 2018, her lavender became Certified Naturally Grown. This certification opened doors for new business opportunities. She’s excited to bring her knowledge and fresh perspective to the conference, sharing with you the added integrity of the Certified Naturally Grown title! Kylee will present on Certified Naturally Grown's grassroots model of certification, and how it is similar to - and different from - the USDA organic program. Kylee can speak from first-hand experience about the value of CNG's peer-inspections, and the added visibility and support it provides to Certified Naturally Grown producers. She will describe step by step the process of becoming CNG certified, give examples of how CNG supports their members, and detail the various benefits of joining this grassroots network. CNG is tailored for locally-based farmers and beekeepers who don't use synthetic chemicals or GMOs. Many lavender growers would be well-qualified to participate and take advantage of CNG's marketing and networking benefits. CNG was founded by farmers in 2002. Today more than 750 producers throughout North America are CNG certified. As owner and operator of a 50-acre USDA Certified Organic farm and forest she has a unique opportunity to grow, harvest and distill multiple aromatics in one location. Her farm Evening Light Lavender Farm grows approximately 18,000 lavender in 41 varieties, a field of rose geranium and various herbs for distillation. The farm successfully hosts thousands from the community at the annual U-pick Lavender Festival. Sandra’s commitment to her passion also has her serving and giving back. Therefore, she is a Regional Director for the National Association of Holistic Aromatherapists (NAHA). 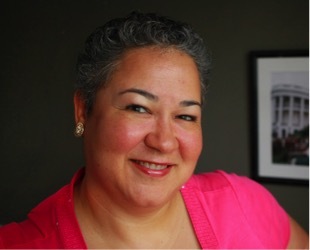 She is a Regional Director for the United States Lavender Growers Association (USLGA) and on the Board of the Washington Lavender Association (WLA). As an educator she is a speaker at USLGA national conferences, holds workshops on distillation, the business of lavender, Agritourism, Essential Oil Safety, Hydrosols and other classes at her farm. She is regularly invited to speak at various garden clubs, schools and other groups. Her internship program for college students was launched this year. Additionally, she has given back is her service on teams to Guatemala, South Africa, Morocco and Mozambique since 2005. 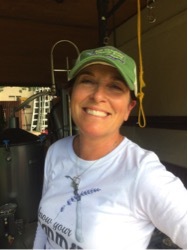 Cindy will be presenting on the Distillation for Hydrosol at the pre-conference “Art and Science of Distillation” workshop. 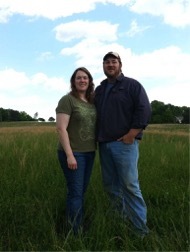 Mary and Tim Bergstrom have Southern Hills Lavender, an agritourism lavender farm in Greer, SC. They planted in 2015 and had their third Upick this year. Mary writes a regular column for the USLGA newsletter, assembled the Organizing Committee to build the USLGA, served as the Founding President, served on the Board of Directors and several committees. Mary was the 2015 recipient of USLGA's LIFT Award. She has a business, training and technology background with a Masters of Internet Technology. Tim has an agriculture, regulatory, and training background with a Masters of Forestry. Mary and Tim will be teaching our pre-conference workshop on "Starting a Lavender Farm".